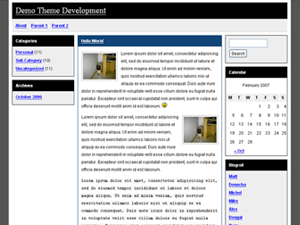 Description: An old-school, 3-column, widget ready theme. If you’re one of the net users born under the Web 2.0 Sun, this theme is what the amateur web used to look like. But don’t be fooled by its appearance, Oldschool is meant to serve as a 3-column framework for you to modify to your heart’s content.